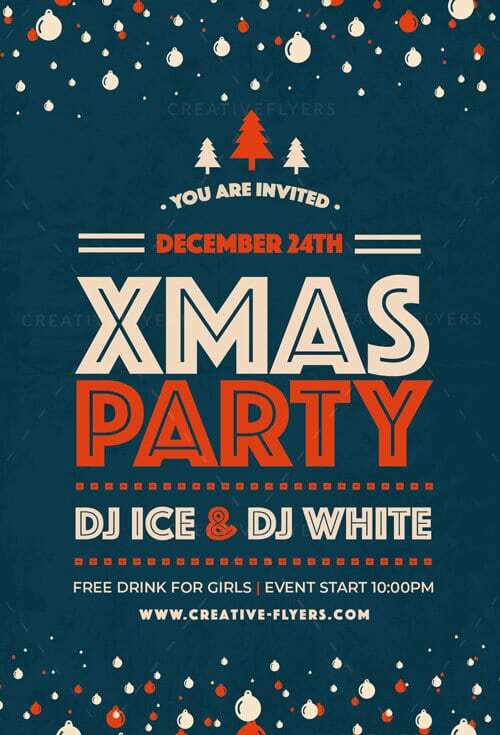 Xmas Party Flyer psd ready to print ! 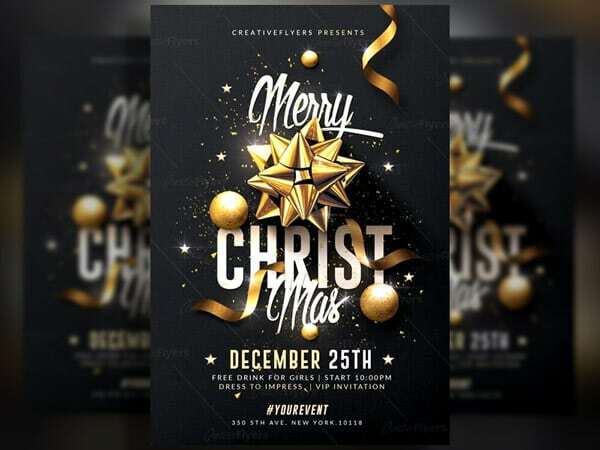 Customizable christmas poster to announce your event, download editable graphic design and flyer with photoshop. 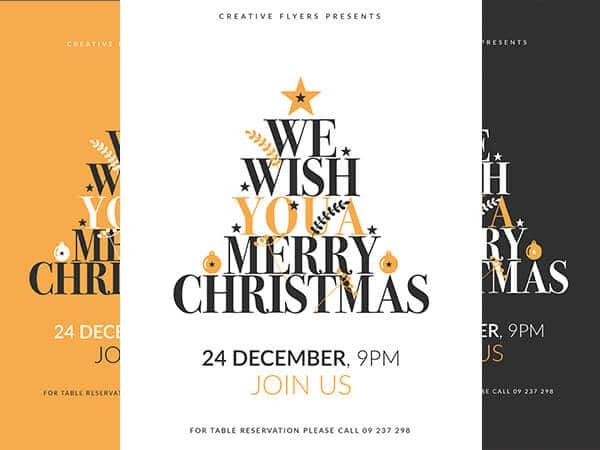 Special Invitation designed by Creative Flyers perfect to promote your Christmas Party ! PSD Files Included Compatible With Adobe Photoshop. 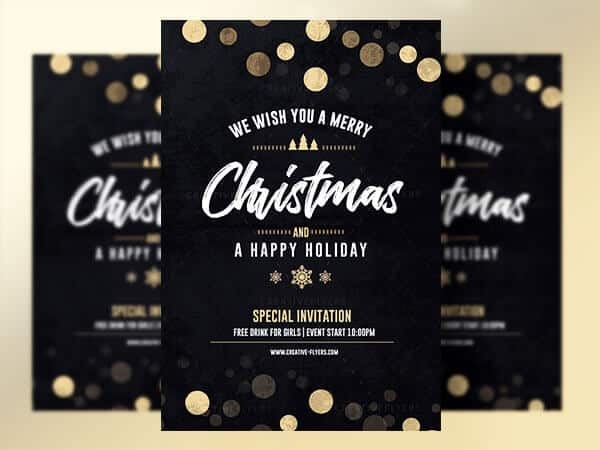 Flyer Size: 4×6 inches with bleeds: + 0,25.